Can You Guess the Flavor? 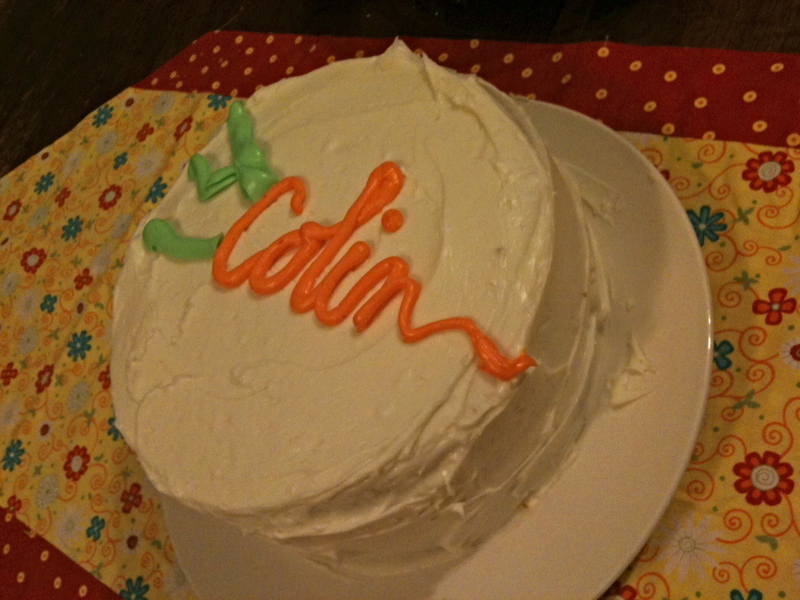 Colin’s birthday cake – can you guess what flavor he requested this year? 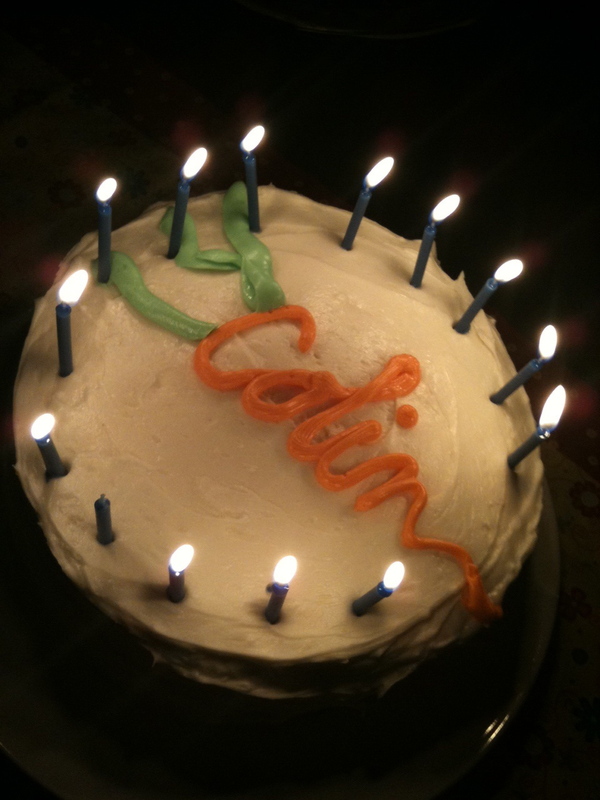 Tough one – how old is Colin now? I’ve made so many carrot cakes over the years so I always try to sneak the age in there along with the names When I look at old pictures now, I’ve some clue as to which birthday I’m remembering. That way, I don’t have to guess!